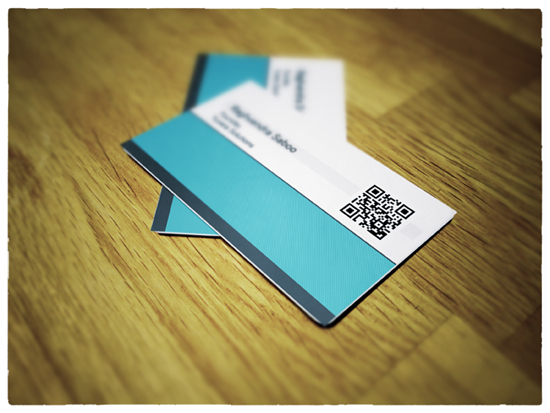 1Card - The awesome NFC Business Card! 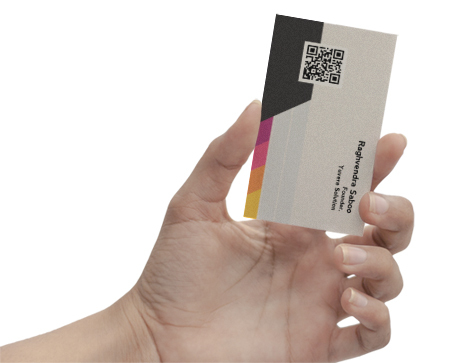 1Card is a digital business card with NFC technology. 1Card instantly shares your contact, social & location details, ready to be saved in a phone's address book. 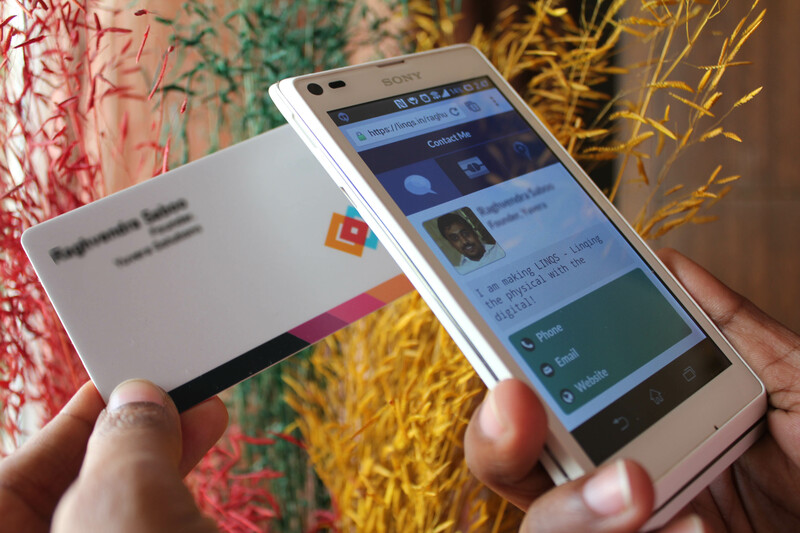 1Card allows you to change your contact details anytime & anywhere without reprinting your card. Just have one 1Card & you would never run out of business cards at critical moments. 1Card lets you keep track of when, where & with whom you shared your contact details. 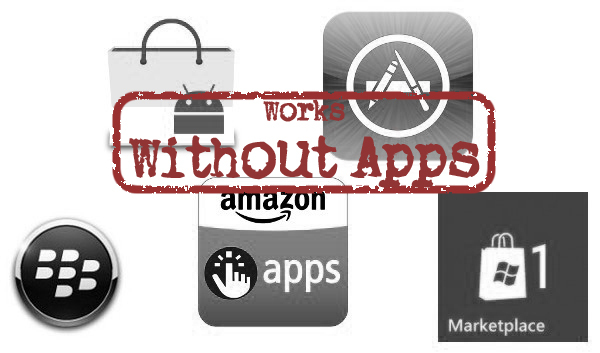 All this without a custom app! Buy 1Card. Tap/Scan your 1Card to build your profile in ~3 mins. The person you are meeting taps/scans your 1Card & sees your contact details on his/her smartphone. The person you are meeting on-the-spot saves your contact details in his/her phone's address book or in a virtual rolodex. Touch the phone to the 1Card! 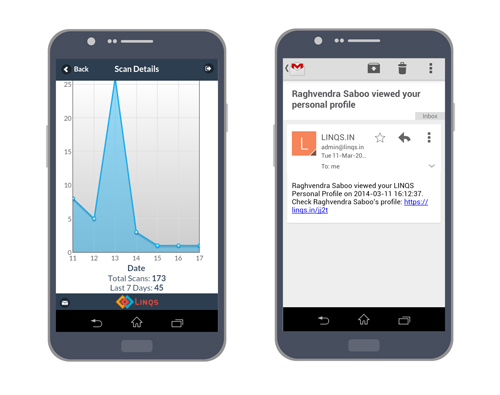 You need to have a LINQS account to be able to create a demo 1Card profile. If you already have a account you need to be logged in. We don't realize how inefficient paper business cards are until we run out of them at critical times. We have to consciously remember to carry them & reprint them. Moreover when we give it to the receiver, more often that not it ends up in a pile. Giving business card is part of business etiquette but the efficacy of this age-old way in today's times is debatable. LINQS 1Card is a modern & smart business card. It lets you continue the etiquette of sharing business cards but is much more effective. Being a digital business card you just need one 1Card! It takes just a few seconds to exchange paper business cards. But it takes a good amount of effort to actually use the information printed on the card. Ironically, today the cards are printed using digital technologies & the information they carry is mostly digital. The emailId, website, social media links & address information is consumed digitally. So, why can't the card itself be digital or shared digitally? When you tap 1Card on a NFC smartphone or scan the QR Code on 1Card, your contact information is instantly transferred to the receiver's phone. 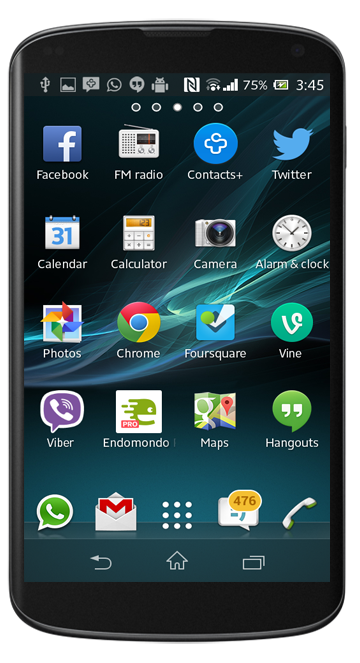 Moreover your entire profile can be saved into the phone's addressbook! 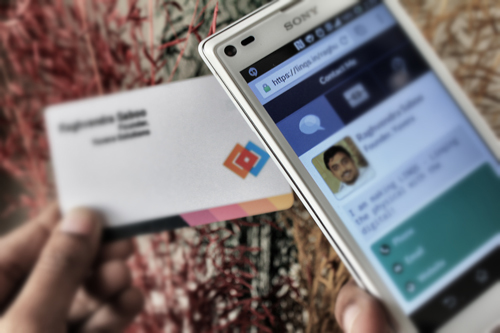 If a phone's addressbook is the holy grail of business cards, 1Card excels in it! 1Card can share your name, company, designation, short bio, phone number, emailId, social media links, addresses & your photograph through a snazzy profile. The only thing that can't be changed in a 1Card is your name. Everything else can be changed anytime, anywhere & as many times as you want just using your smartphone. 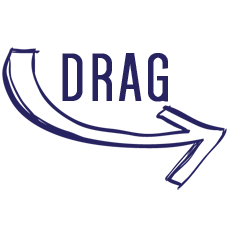 With 1Card you would neither share stale contact details nor have to get new business cards printed when any information changes. 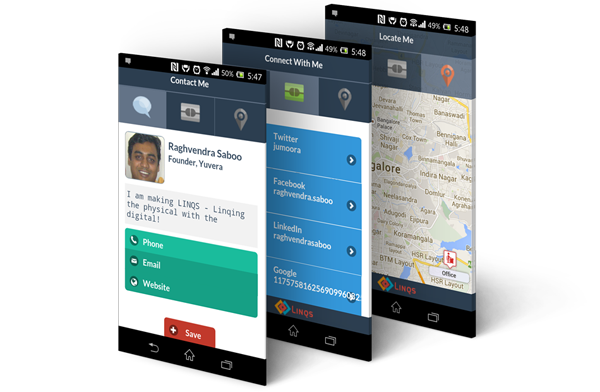 There are a plethora of smartphone apps that allow digital exchange of contact information. While they work great, they have a great constraint that has limited their popularity. Both the sender & receiver's phones should have the same app installed. Can you really ask the receiver to download an app first, open it & then share your conatct information? 1Card doesn't need a specialized app either for creating, editing or sharing your profile. With a NFC smartphone you just need to touch 1Card & the phone to initiate the transfer. With non NFC phones any general purpose QR Code reader is sufficient. Not all of us are good at remembering the names of new people we meet. Curiously, it's not prevalent to have one's photograph on a paper business card. By not being able to recall we lose a connection & sometimes perhaps an opportunity. 1Card lets you know when, where & who accessed your 1Card profile. Among other analytics, you can derive how many paper business cards you saved!